What do you get when you join the program? Everything you'll need to recover plus professional support! 2018's TLM now includes all of the hundreds of resources for recovery, reassurance, first-aid anxiety, panic and phobia busting plus unlimited qualified support. 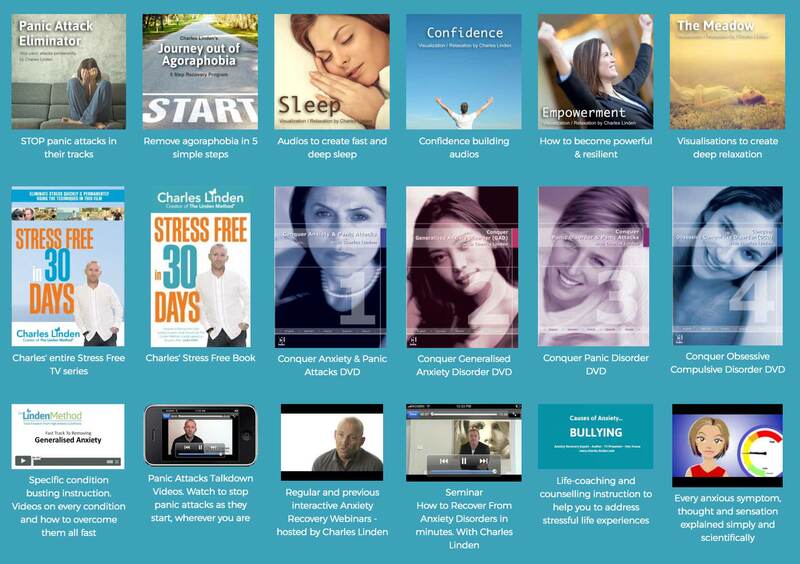 Every book, audio, video, webinar and any other resource we have created since 1996 is now included for you, for lifetime access. Below are some of the extra materials and resources you will receive.